The average cost for one in vitro fertilization (IVF) cycle is $12,000. Basic IVF can be as much as $15,000 or may be as low as $10,000. It's rarely lower than that. These numbers do not include the cost of medications, which may be as low as $1,500 or as high as $3,000 per cycle. One study asked couples at a fertility clinic to track all their out-of-pocket expenses over a period of 18 months. This included what they paid for the IVF itself, as well as medications and monitoring. The average couple spent $19,234. For every additional cycle, couples spent on average an additional $6,955. So, according to this study, if a couple went through three cycles, that added up to a little over $33,000 in out-of-pocket expenses. Before you panic, remember that there are ways to get discounts and pay less for IVF. There are also bulk IVF and refund programs. While insurance doesn't always cover IVF, your insurance may cover part of your expenses. For example, they may cover monitoring, or they may cover part of the medications. That can decrease the price significantly. Ask before you assume you can't afford IVF. Let's say your clinic gives you a price quote of $13,000. You go online, find another clinic, and they tell you they can give you a cycle for $7,000. You should price shop when looking at IVF treatment. Take into consideration both the quality of the clinic and cost. However, before you jump to a clinic for a lower price, make sure you're getting a full quote. If one clinic is giving you the estimated price for everything, while another clinic is telling you the cost only for the IVF procedure itself, you can't compare the numbers. Any additional assisted reproductive technologies you may need, like ICSI, PGD, assisted hatching, testicular sperm extraction, etc. If you choose a clinic far from home, don't forget to include travel, hotel, and time off work costs. It’s also important that you don’t confuse micro-IVF, or mini-IVF, with conventional IVF treatment. Mini-IVF uses lower doses of fertility drugs and involves less monitoring of the growing embryos before transfer. Mini-IVF costs on average $5,000. However, mini-IVF is better suited for couples looking to try IUI treatment. Also, it’s not for everyone. There are advantages to mini-IVF beside cost. For example, it is less likely to lead to a multiple pregnancy when compared to IUI. With IUI, you can't control the number of possible follicles or resulting embryos. With mini-IVF, you can choose to transfer just one embryo. With that said, success rates for mini-IVF are not yet clear. Mini-IVF may be better than IUI, but if you really need full IVF, it may not be the best treatment option for you. While basic IVF costs around $12,000, if you need additional assisted reproductive technologies, the cost will be higher. For example, ICSI treatment (where a single sperm is injected directly into an egg) may be an additional $1,000 to $2,500. PGD, genetic testing of embryos, may be around $3,000 or more. It may go as low as $1,800 or as high as $7,500. Embryo freezing, including the initial freezing and storage, may cost an additional few to several hundred dollars. Yearly storage fees range anywhere from $200 to $800 per year. If you have frozen embryos from a previous cycle and want to use them, doing so is significantly cheaper than doing a complete IVF cycle with fresh embryos. The average cost for a frozen embryo transfer (FET) is about $3,000 - $5,000. If you plan on using an egg donor, the overall cost will be significantly higher—from $25,000 to $30,000 for one cycle. Using a sperm donor is less expensive, costing anywhere from $200 to $3,000 extra, or between $13,000 and $17,000 per IVF cycle. 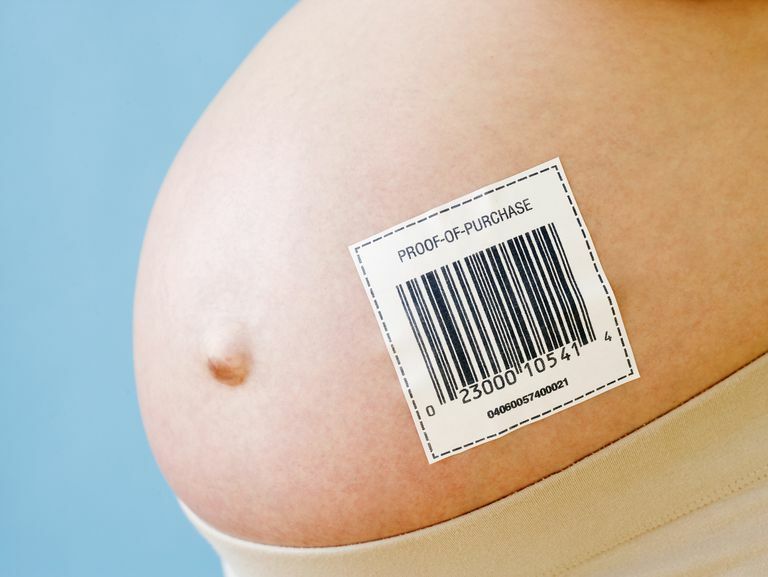 Surrogacy is the most expensive of all IVF options. If you include all the legal fees, agency fees, IVF costs, and payment to the surrogate, the cost can range anywhere between $50,000 to $100,000. Embryo donation is the least expensive of the donor options. It's often cheaper than a regular IVF cycle. How Can You Pay for IVF? Many fertility clinics offer payment programs to help make IVF treatment more affordable. Don’t write off IVF before you talk to your clinic about your options. While price comparisons are important when choosing a fertility clinic, you should also consider their success rates. If an IVF clinic has a very low price, but their success rates are low and multiple cycles may be needed, then choosing the cheaper clinic isn’t worth it. There are also refund programs, where you pay a set fee, usually between $20,000 and $30,000. The clinic will refund part your money if you do not get pregnant after three or four IVF treatment cycles. Not all couples qualify, and the terms vary from clinic to clinic. There are advantages and disadvantages to refund programs. In favor of the programs, if you don't get pregnant, you will get back at least part of your expense. (You won't get a refund for medications, so it isn't a full refund.) Also, if you need all three or four cycles to conceive, you may pay less per cycle than if you paid as you went. On the other hand, if you get pregnant on your first cycle, you will have paid much more than necessary. Most refund programs won't accept you if they think you're unlikely to get pregnant quickly. Having a doctor recommend IVF treatment can be emotionally distressing. Add on top of that the financial strain it brings to most, and you may feel overwhelmed. The cost of IVF is the number one barrier to treatment for the majority of families. Don't be afraid to take your time deciding whether IVF treatment is something you can afford, and looking into all your payment options. You may feel tempted to just jump in and "figure out" how you'll pay later, but this can lead to serious financial trouble. Make a plan of how you'll save, cut back, or repay any funds you borrow. Also, keep in mind that it's okay to decide not to pursue IVF. You're under no obligation to declare bankruptcy before deciding you've reached your limit. There are many legitimate reasons not to continue with fertility treatments, and avoiding debt (or avoiding too much debt) is one of them. Cost of IVF at the Advanced Fertility Center of Chicago. Advance Fertility Center of Chicago. The Costs of Infertility Treatment. Resolve. Could Mini-IVF Be Better Than IUI or Conventional IVF? Should You Freeze Your Eggs to Extend Your Fertility? What's ICSI-IVF? And Should Everyone Really Be Doing It?